Investing is full of uncertainties. You know the story; there are known unknowns and unknown unknowns, but there ain't no perfection, secret formulas or guaranteed riches. Investors have been searching for that elusive recipe for success for ages, and have mostly come up blank. Despite this, there IS one immutable law of investing, that if followed religously and diligently applied will ensure your wealth grows. And rapidly at that. What is it? It is the 'Power of Compounding'. And if there's one investor that both understands and seeks to harness that power, it's Charles T Akre. Charles Akre, or 'Chuck' for short, runs his namesake fund, the $6b Akre Capital, out of a 'one-traffic light' town in Virginia. Away from the hullaballoo of Wall Street, Chuck and his team spend their days searching for attractively priced 'compounding machines'; rare businesses that have contributed to Akre's long history of market beating returns. 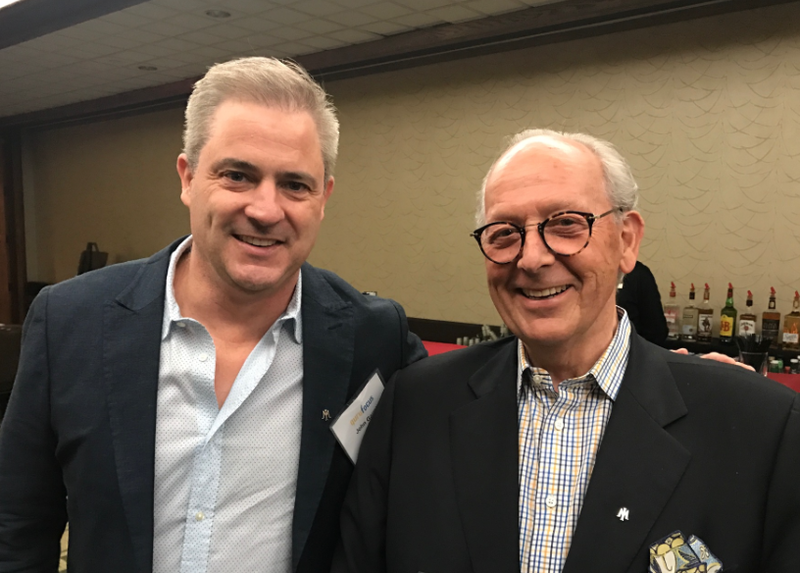 Over the years I've always enjoyed reading Chuck's letters and interviews and to my great delight, I had the pleasure in meeting this down to earth and thoughtful investing legend in Omaha this year. Like many successful investors, Chuck has studied and adopted many of the investing lessons laid out by Warren Buffett. Akre is far more latter-day Buffett, with a real penchant for identifying capital light, high quality businesses throwing off cash which can be deployed into high return opportunities. 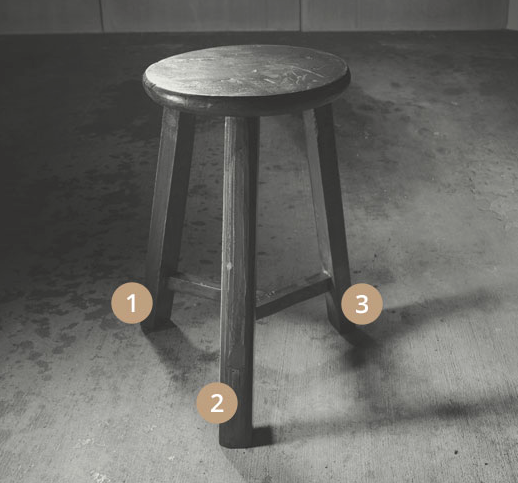 Chuck Akre uses the visual analogy of an early 20th century 'three legged milking stool' to describe his investment process; a metaphorical 'stool' provides a more stable and reliable footing than a standard four-legged stool amidst the topography of chaotic markets. It also leverages the Power of Compounding. The investment process starts with the recognition that shares are really pieces of a business. "Our focus remains entirely on the long-term prospects of the businesses we own. Our simple view is that we will be successful (1) if the businesses we own are successful, and (2) if we do not overpay when buying shares of these businesses." The first leg of the stool is the Quality of the Business. The foresight for the first checklist item was in part a result of Chuck's early investment in Berkshire Hathaway; Berkshire's growth in book value was driving shareholder returns. "I became the best student of Buffett I could and first bought Berkshire Hathaway shares when it had a $100 million market cap. From that happy experience, it became clear to me that the best way to see if a business is adding shareholder value is by the growth in its book value per share." Chuck also noticed that the long term annual US stock market return had approximated the aggregate return on capital of it's constituent companies. "I look at it this way: The average annual total return from equities over long periods of time has been around 10%. When you clean up the accounting, the real return on equity [ROE] of American business averages in the low teens." Over the long term, he figured that a company's returns were determined by it's ongoing return on capital. A fact well espoused by Charlie Munger. When it comes to compounding, it's the rate of return that matters. Not surprisingly, Chuck looks for businesses with superior returns on capital. The trick is identifying businesses with high returns on capital and ascertaining what the key factors are that allow those high returns to endure. Often, the secret to those high returns lies in the qualitative, not the quantitative factors. They are not always obvious. Some of the characteristics that Chuck looks for are set out in the adjacent table found on the Akre Capital website. Through his annual letters and a few insightful Value Investor Insight interviews, Chuck has expanded on the qualitative characteristics which can contribute to above average returns. Another attraction of owning high quality businesses is the resilience they tend to display in difficult markets. Consistent profitability through business cycles combined with solid balance sheets protects against the permanent loss of capital. Chuck recognizes the importance of management. Once again, a key learning from the world's Investment Masters is that management matters. Ordinarily good management have a track record of success, are shareholder-orientated, and are capable capital allocators. It is paramount management show a history of acting in shareholders interests. Oftentimes helped by a strong alignment of interest. Chuck Akre's final leg of the stool is capital allocation. Once again, a tenet that is well recognised by the Investment Masters. It's a company's ability to redeploy capital at high rates of return that turns into a compounding flywheel. And being a great CEO doesn't imply someone is also a skilful capital allocator. Chuck Akre understand compounding. When the three areas of the analysis line up, the business is referred to as a “compounding machine”. The next step is to purchase these businesses at a modest valuation. And then, provided the 'legs of the stool' remain intact, hold for the long term. As Munger highlighted above, even if you pay an expensive looking price, you'll be rewarded in the long term. The key point, is holding on for the long term. For more than a quarter century Chuck Akre has invested in compounding machines. His simple 'three legged-stool' process has delivered through different business and market cycles, and has consistently produced enviable returns. It's little wonder he's sticking with his process. And as he has said, Compounding Machines are very rare. Akre Capital spend much of their time scrutinising organisations and management teams to determine if they fall into this small category, and most often find that despite holding one or two aspects of the '3-legged stool checklist', many of these businesses fall short. But they do exist, and through diligence and research you will find them. Note: This post is for educational purposes only. I have no relationship with Akre Capital. Older PostJohn Neff - a Fifty Seven Bagger!